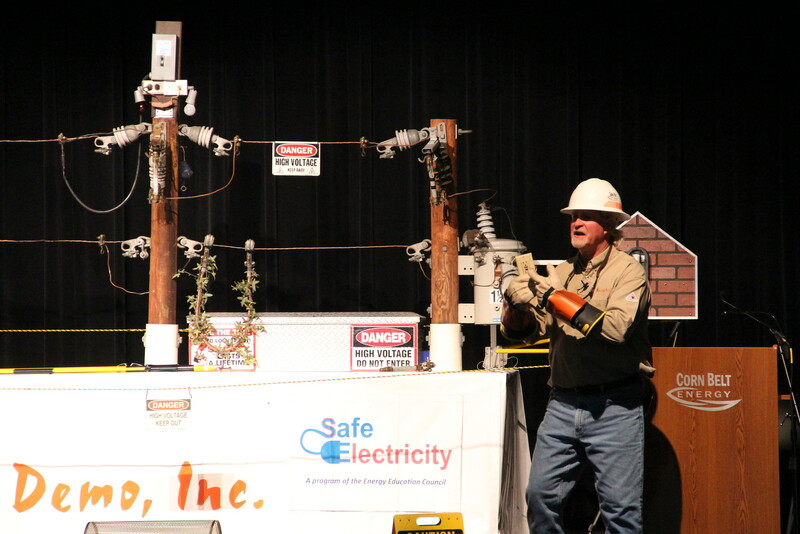 Through this presentation, fire departments and emergency response teams learn to react quickly and safely to emergencies involving electricity. This comprehensive demonstration includes policies and procedures for utility disconnects. 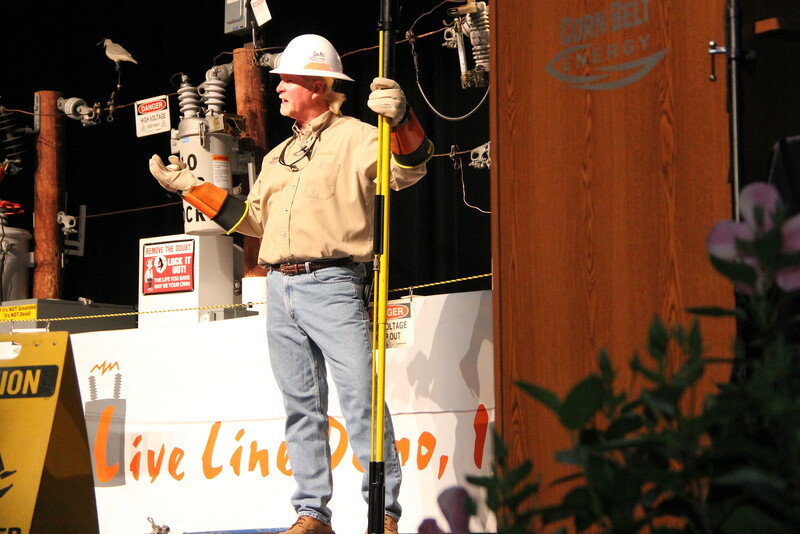 School assemblies learn to respect the power of electrical lines through this very dynamic, fun and educational program. Because of its energetic delivery, this demonstration has amazing information retention levels. 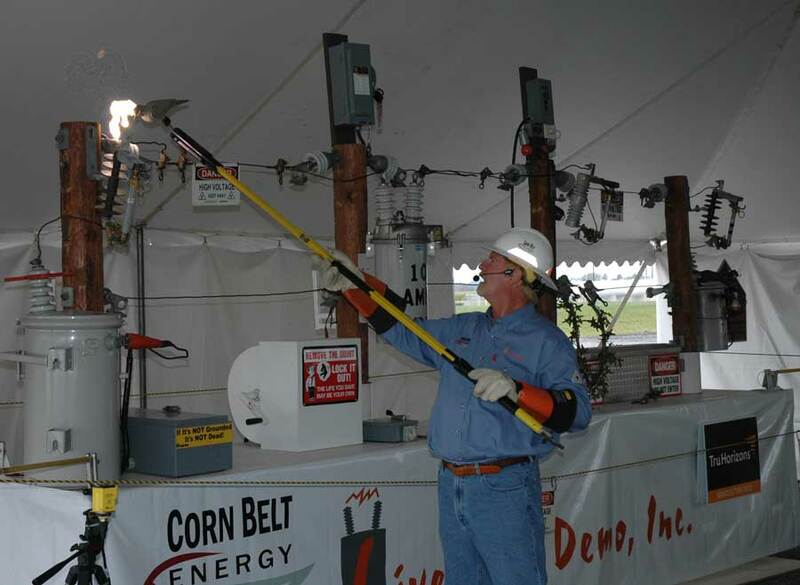 Because of its unique, fun and exciting presentation, the Live Line Demo is a sure way to add a spark to your fair, festival, carnival, farm day, etc. Don't miss the heat, sparks, arcs and explosions! 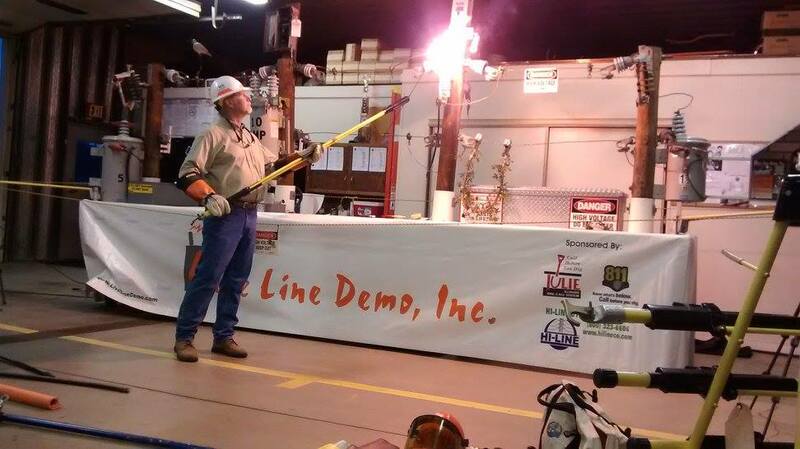 This educational demonstration could help prevent accidents and save lives.